Injustice 2 is the super-powered sequel to the hit game Injustice: Gods Among Us that allows players to build and power up the ultimate version of their favourite DC characters. Featuring a massive selection of DC Super Heroes and Super-Villains, players can personalize iconic DC characters with unique and powerful gear earned throughout the game. Additionally, for the first time, gamers can take control of how their characters look, fight and develop across a variety of game modes. 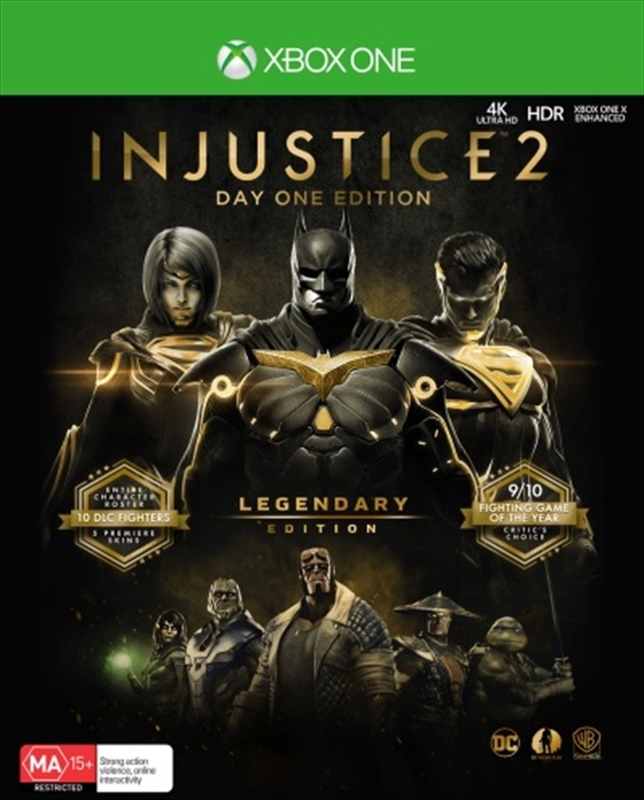 Injustice 2 Legendary Day One Edition includes Steelcase, Collectable Injustice 2 coin, Epic comic exclusive download steel card and 11,000 in game source crystals.